In 1969, a Chicago advertising agency was working on an ad concept that would parody the social justice marches of the day to sell hair-care products. One of the staff members assigned to execute it, a black woman named Barbara Gardner Proctor, wasn’t amused. She was fired, which set the stage for a bit of history. And so the next year she became, by all accounts, the first black woman in the United States to found her own ad agency when she established Proctor & Gardner. There was no partner; she simply used her married name and her maiden name to create the impression that there might be a male associate, in case any potential clients had chauvinistic leanings. Eventually she built Proctor & Gardner into a multimillion-dollar company. Ms. Proctor, whose career also included a small role in bringing the music of the Beatles to the United States and a shout-out from President Ronald Reagan during a State of the Union address, died on Dec. 19 in Chicago. She was 86. Regina Young, a former employee and family friend, said that she had recently fractured a hip in a fall and also had dementia. Her death came to light only last week. Ms. Proctor, who started her company with no capital or experience as a chief executive, was matter-of-fact about her leap of faith. “You can only do it when you don’t know you can’t do it,” she said. Barbara Juanita Gardner was born on Nov. 30, 1932, in Black Mountain, N.C. Her mother, Bernice, who later worked at the Pentagon, was an unmarried teenager, and when she moved to Washington to attend secretarial school, Barbara was sent to live with a family in Asheville, N.C. When Barbara was about 4, her grandmother brought her back to Black Mountain to live with her. She grew up there in a house without electricity or running water, in an area where everyone, white or black, was poor. When the C-Span interviewer asked her about overcoming steep odds, she said, “I didn’t know they were odds; that was life.” Only when she went back to Asheville for high school, she said, did she realize how sparse the circumstances of her childhood had been. After graduating in 1950 she attended historically black Talladega College in Alabama, earning a degree in English and education after three years, then staying an additional year to earn a degree in psychology and sociology. After graduation in 1954 she worked for a summer as a camp counselor in Kalamazoo, Mich., a stop on what she thought was a path to a teaching career. But on the way back to North Carolina she stopped in Chicago to buy some clothes for her new profession — and, as she often told the story, bought too many and was left without enough money for the bus back east. “In a sense I’ve been 30 years trying to get my bus fare back home,” she said in the 1989 interview. A beauty shop owner let her have a room to stay in, and while she pondered how to earn that bus fare she pitched in at the local Urban League office. She did social work with the Urban League for about a year, then fell into a completely different line of work, which led to an unusual footnote in her career — the one involving the Beatles. Ms. Proctor had listened to the radio a lot while working late and was so struck by the voice of one disc jockey, Sid McCoy of WCFL, that she arranged to meet him and then offered to organize the vast inventory of records at his family’s record store. He in turn arranged for her to begin writing liner notes for Vee-Jay Records, a local concern for which he scouted jazz talent. Soon she was working in distribution for Vee-Jay, a job that took her to Europe to swap records with representatives from other companies at a time when representation of rock acts was more fluid than it would soon become. In 1962, she traded records by the Four Seasons, a Vee-Jay act, for discs by the Beatles, who had not yet made an impact in the United States, and arranged for Vee-Jay to sign the group to a limited contract. It released some Beatles records, including “Please Please Me” and “From Me to You,” in 1963, but they didn’t catch fire, and gambling debts racked up by Vee-Jay’s president threw the company into turmoil. Vee-Jay also released a Beatles album, but bigger fish, notably Capitol Records, soon dominated the group’s American representation. In 1964, Ms. Proctor took a job with the Post-Keyes-Gardner advertising agency, which, according to Dr. Davis’s book, forced her to begin using her married name, Proctor, to distinguish herself from the unrelated founding partner, although her 1960 marriage to Carl Proctor had ended the previous year. “The first job I had was writing the back labels to Pine-Sol bottles,” she recalled. A few job changes later she found herself at an agency called North, where the dispute over the hair-foam campaign led her to found Proctor & Gardner. She started with nothing, then used a $1,000 loan from a friend to rent an office above a pizza shop. Then she went to the Small Business Administration seeking a loan. “They asked what I had for collateral, and I said, ‘Me,’ ” she wrote in a first-person article in The Chicago Tribune in 1990. She got an $80,000 loan. Six months later she had her first account, Jewel Foods, a Chicago grocery chain. Other clients followed, including Kraft Foods and Sears, Roebuck & Company. She was written about in The Wall Street Journal, Ebony and other publications, and, in early 1984, “60 Minutes” broadcast a segment about her. Just a few weeks later, five minutes into his State of the Union address, President Reagan made her even more well known. 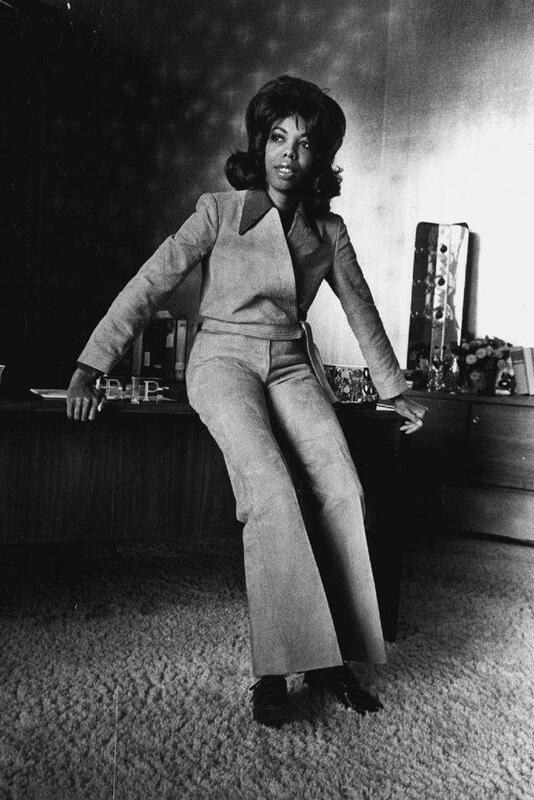 But her company, which had billed more than $13 million worth of business in 1983, was beginning to decline, partly because larger agencies had begun to recognize the importance of minority consumers, a segment of the business from which she had benefited, and had begun to hire and promote black women. She was also hampered by her own principles. “Acknowledging the social impact of advertising,” Dr. Davis said, “she refused to create ads or work with products she believed were detrimental toward women or black people.” Cigarettes and hard liquor were among the products she would not represent. In 1995, the company filed for bankruptcy. Ms. Proctor made a brief effort to reboot with an eye toward the emerging internet market, but gave it up and retired. Her survivors include a son, Morgan Proctor, and two grandchildren. Ms. Proctor credited her success in part to her accidental landing in Chicago, a city that she thought was more open to experimentation than the Eastern advertising centers might have been. “It is probably the only city where I could have had the latitude to grow and to be as different as I was in those times and still have some measure of success,” she wrote in the 1990 article. The C-Span interviewer asked her if during her career she had ever thought of moving.